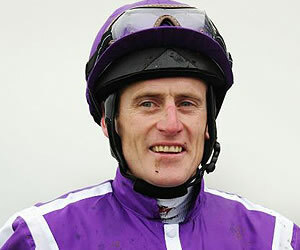 Keiren Fallon's enforced absence from the saddle has presented a fine opportunity to Johnny Murtagh who has been given the call-up to partner the unbeaten William Haggas-trained Fury in the feature Qipco 2000 Guineas at Newmarket on Saturday, writes Elliot Slater. Fallon's seven-day suspension incurred recently at Kempton has ruled him out of the Newmarket Guineas meeting, the former champion jockey having been on board for both of Fury's winning outings last term. Haggas expressed his pleasure at having secured Murtagh's services, the pair having teamed up on many occasions in the past including with the smart Cheveley Park-owned Penitent. Fury, a 16/1 shot for the 2000 Guineas in the latest online horse racing betting, runs in the colours of the same owners and made his racecourse debut at Newbury last September where word of his ability had reached the racecourse ahead of his first outing and he was duly sent off the 15/8 favourite in a field of 13. He didn't disappoint his supporters, quickening readily a furlong from home to put the race beyond any doubt. Two weeks later, again ridden by Fallon, the son of Invincible Spirit contested the 27-runner Tattersall's Millions 2YO Trophy on the Rowley Mile course at Newmarket, where he came bounding up the hill to record a one-and-thee-quarter-length victory of the very useful Pisco Sour. Haggas reports himself pleased with the way the three-year-old has been working in preparation for a crack at the first colts' Classic race of the season, and is hopeful his charge will give a good account of himself against Frankel and the rest. Murtagh will bid to land the big race for the third time in his career having first won the mile event on the outstanding Rock of Gibraltar back in 2002, before following up in 2008 on Henrythenavigator, both winners trained by Aidan O'Brien.